We are officially sold out of all home types except for detached laned homes! 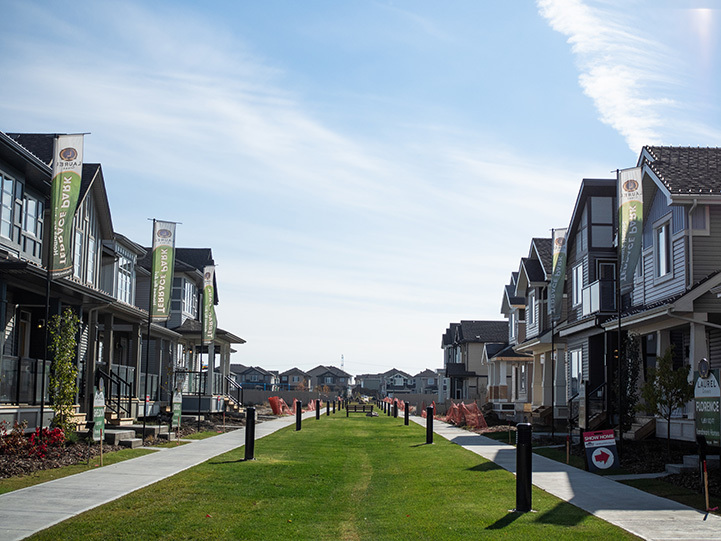 If you’re in the market for an affordably priced single family home in southeast Edmonton, then you need to head on over to our Terrace Park show homes in Laurel Green! Act now as these homes are sure to go fast since they are starting from the $300’s! 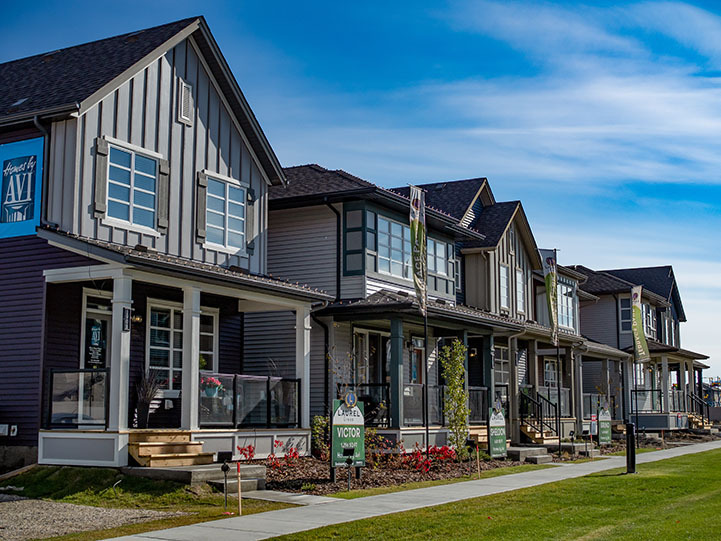 Terrace Park showcases six new detached laned homes from two of Edmonton’s finest builders: Homes By Avi and Landmark Homes, and are open for touring from 3 pm to 8 pm every Monday to Thursday and noon to 5 pm on the weekends at 19A Avenue & 25 Street in the Laurel Green community. 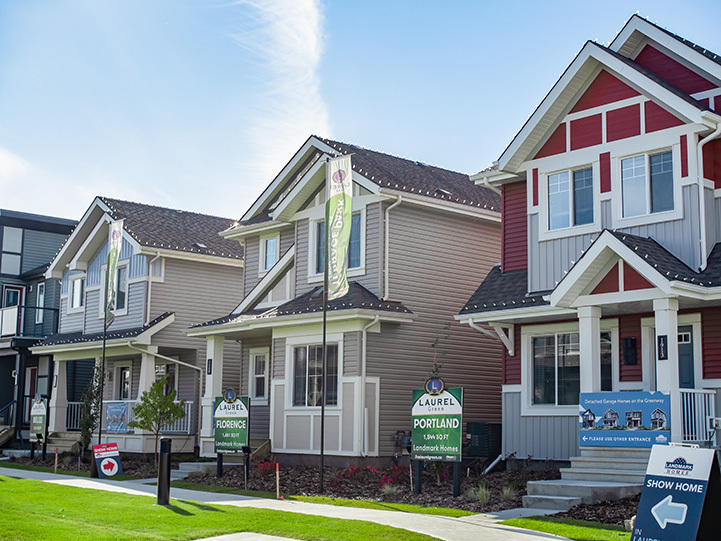 Homes by Avi will proudly welcome you into their Victor, Sheldon and Bruno models. This exclusive collection of traditionally designed three bedroom homes range from 1,296 to 1,623 sq.ft. Each home boasts a beautiful large front porch and high contrast exterior finishes that ensure distinctive street character. Avi’s interior finishes, which come in both contemporary and more traditional styles, exude the highest quality thanks to granite counter tops, hardwood flooring, stainless steel appliances, modern vertical fireplaces and exquisite maple or white cabinetry. Landmark introduces its three most popular and best-selling designs including the Portland, Florence and Belize models. Each home features three bedrooms, two and a half baths and range in size from 1,312 sq.ft. to 1,651 sq.ft. The homes also feature progressive bonus room designs, a variety of kitchen and master suite options and you can discuss with the builder some opportunities to even make your home into a NET ZERO building. 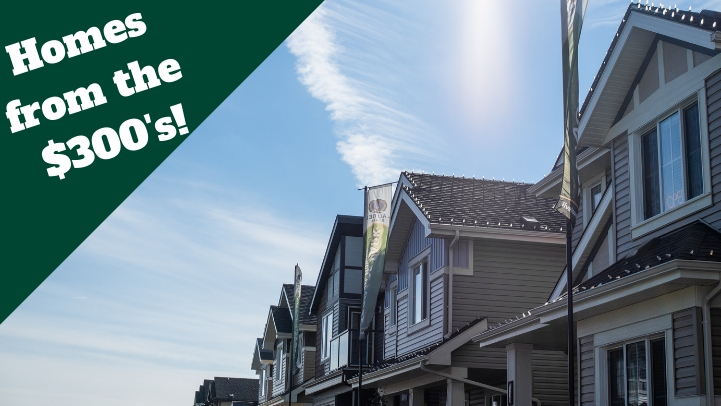 All new homes in Terrace Park come with double detached garage, full driveway, front and back landscaping, kitchen appliances, premium finishings and more! Our sales representatives will help with any questions you may have in your home buying journey. This growing community offers more than just a home for its residents. With its abundance of amenities, you’ll always find something to do! Enjoy a variety of shopping and entertainment amenities, recreational activities at the Meadows Recreation centre, two playgrounds for the kids and so much more. Check out what people are saying about Terrace Park!